How can risk managers successfully implement an ERM strategy? "How can risk managers successfully implement an ERM strategy?" Successful implementation of an Enterprise Risk Management (ERM) strategy must include involving the correct people in your organization, developing and effectively communicating your ERM value proposition to create sustainable, repeatable processes that incorporate Enterprise Risk Management as part of a business unit’s daily activities. 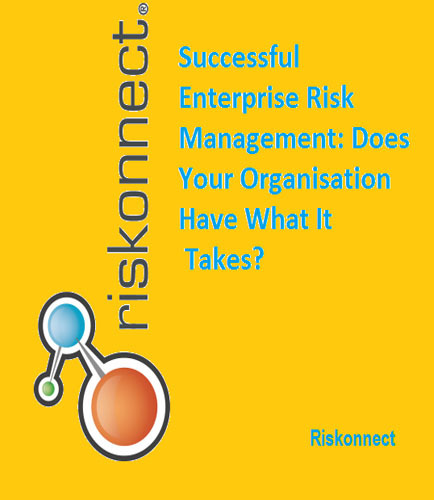 Enterprise Risk Management is a change in the way we do business, and it is a change in how we think about our risk! What is the business case for Enterprise Risk Management support software? What is the basis behind any successful Enterprise Risk Management program? How do risk managers convince stakeholders that an ERM implementation process is the right thing to do when they live in a world where many companies have the attitude to just buy insurance?